Alu-Alu Blister Packing Machine is on the basis of DPP-250F and widely absorbing the feedback information from customers and the advantages of same-type products at home and abroad. It is strictly made conforming to "GMP" standards. A waste material collecting device has been designed to add up to this machine which can make the function of the whole machine more perfect. Material recovery device: It can auto magically recover a whole roll of waste material. ALU-ALU Blister Packing Machine is suitable for blister-type aluminum-plastic and paper-plastic sealed packing of such articles as capsule, tablet, syringe and hardware, etc. Looking for ideal Aluminum-Aluminum Blister Packing Machine Manufacturer & supplier ? We have a wide selection at great prices to help you get creative. All the Aluminum-plastic Blister Packing Machine are quality guaranteed. 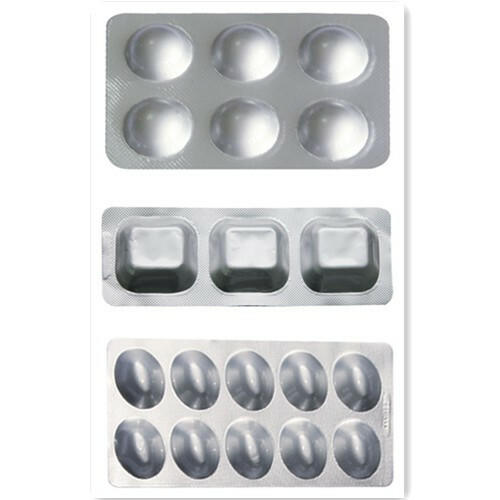 We are China Origin Factory of Pharmaceutical Blister Packing Machine. If you have any question, please feel free to contact us.